Henry Moseley was an outstandingly skilled experimental physicist. In 1913 he used self-built equipment to prove that every element’s identity is uniquely determined by the number of protons it has. His discovery revealed the true basis of the periodic table and enabled Moseley to predict confidently the existence of four new chemical elements, all of which were found. Henry Gwyn Jeffreys Moseley was born in the town of Weymouth, England, UK on November 23, 1887. His parents were both from well-educated families. His father, who was also named Henry, was a professor of anatomy and physiology. His mother, Amabel, was the daughter of a barrister who had changed careers to become a mollusk biologist. Henry Moseley was educated in private schools. His first school was Summer Fields School – an elementary school. There he won a scholarship for Eton College, which is probably Britain’s most prestigious high school. Some time after arriving at Eton he decided the school’s physics lessons were too easy, so he worked on the subject independently. Aged 18, he won Eton’s physics and chemistry prizes. Already a high achiever, he was admitted in 1906 to the University of Oxford’s Trinity College, where he studied physics. There he disappointed himself. He was suffering badly from hayfever when he sat his final exams. He got a second class honors degree in physics, not the ‘first’ he had hoped for and expected. In 1910 Moseley moved to the University of Manchester to join Ernest Rutherford’s research group. Rutherford had become world famous two years earlier when he was awarded the Nobel Prize in Chemistry for his discoveries in radioactivity. Although Moseley’s degree was ‘only a second,’ Rutherford took him on after hearing from professors at Oxford that he was a very promising physicist. Their personalities were opposites. Rutherford was talkative and loud, while Moseley was rather reserved, using no more words than he found necessary. At Manchester, Moseley taught physics and carried out research work. He soon learned that he did not enjoy the teaching side of his job. After Moseley had been at Manchester for a year, Rutherford was sufficiently impressed with his work that he offered him a research fellowship. 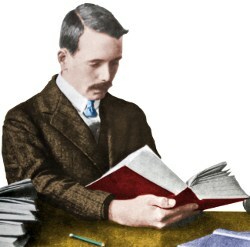 Moseley accepted this happily – it allowed him to concentrate all his attention on research and drop his teaching work. Working in Rutherford’s group, it was inevitable that Moseley would work with radioactive chemical elements. After becoming familiar with the field, he went beyond experiments others had thought of and came up with his own particular twist. He tried to pull the beta particles back by insulating their radioactive source (radium) so that it would become increasingly positive as the beta particles carried negative charge away. The positive charge on radium increases when it loses negative charges by beta-particle emission. If the radium can be very well insulated, it will develop an extremely high positive charge. If the radium could reach an electric potential of one million volts, then even the most energetic beta particles would be pulled back into the source as they were emitted. Unfortunately, the high degree of perfection needed in insulating the radium could not be achieved, so one million volts could not be reached. However, by generating voltages (about 150,000 volts) on a radioactive source, Moseley actually created the world’s first atomic battery – a beta cell. He called it a radium battery. Today, atomic batteries are used where long battery life is crucial, such as in cardiac pacemakers and spacecraft. In 1913 Moseley celebrated his 26th birthday. Dmitri Mendeleev’s periodic table was older; it had been around for 44 years. New chemical elements were still being discovered and added to it. Since Mendeleev’s time, elements in the periodic table had been arranged according to their atomic weights and their chemical properties. There was, however, a basic flaw in the table: the position predicted by an element’s atomic weight did not always match the position predicted by its chemical properties. In these cases elements were positioned in the periodic table according to their properties, rather than their atomic weight. 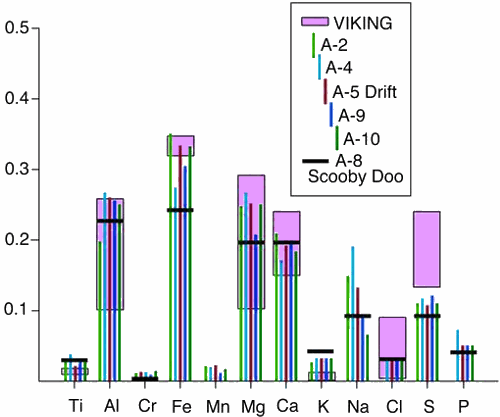 Was it possible that elements could have a more fundamental property than atomic weight? In 1911 Antonius van den Broek had published his hypothesis that atomic number – which at this time was simply the position of an element in the periodic table – might actually be equal to the amount of charge in the atom’s nucleus. There was, however, no experimental evidence to prove this hypothesis. Moseley had learned from William and Lawrence Bragg that when high-energy electrons hit solids such as metals, the solids emit X-rays. This intrigued Moseley, who wondered if he could study these X-rays to learn more about what goes on inside atoms; he had van den Broek’s hypothesis in mind specifically. He moved back to Oxford in 1913. Rutherford had offered him a new fellowship at Manchester on better terms, but Moseley decided the best path for his career would be to get experience in several different laboratories. There was no fellowship open at Oxford, but Moseley believed one was coming up. He was given laboratory space, but had to self-fund his work. In a very small amount of time he personally put together experimental apparatus to shoot high-energy electrons at different chemical elements and measure the wavelength and frequencies of the resulting X-rays. Moseley got a straight line when he plotted the square roots of elements’ X-ray frequencies against their atomic numbers. He discovered that each element emits X-rays at a unique frequency. He also found he could get a straight line graph by plotting the square-root of X-ray frequency against elements’ atomic numbers. Startlingly, Moseley realized that his work had confirmed van den Broek’s hypothesis. His data made most sense if the positive charge in the atomic nucleus increased by exactly one unit as you look from one element to the next in the periodic table. In other words, he discovered that an element’s atomic number is identical to how many protons it has. This was enormously important. It meant Moseley had discovered that the basic difference between elements is the number of protons they have. He realized that an element is defined by its number of protons. If an element has one proton it must be hydrogen; two protons must be helium, three protons must be lithium, etc, etc. Although this may seem obvious to us today, it was a huge discovery in 1913. Adding a proton produces a new element. Hydrogen has one proton, so its atomic number is one. Add a proton and you get helium with atomic number two. Add another proton and you get lithium with atomic number three, etc. When Moseley arranged the elements in the periodic table by their number of protons rather than their atomic weights, the flaws in the periodic table that had been making scientists uncomfortable for decades simply disappeared. Furthermore, just like Mendeleev had done 44 years earlier, Moseley saw gaps in his new periodic table. He predicted the existence of four new elements, with 43, 61, 72, and 75 protons. These elements were discovered later by other scientists; we now call them technetium, promethium, hafnium and rhenium. As if his explanation of the periodic table were not enough, Moseley had also discovered a new non-destructive method to find out which elements are present in any sample: you bombard the sample with high-energy electrons and look at the frequencies of the resulting X-rays. These X-rays are as good as a fingerprint for any elements present in the sample. At the time, this was a particularly welcome technique for rare-earth chemists, who had found their work becoming almost nightmarish. The rare-earth metals behave so similarly that to analyze a sample containing these elements could take years of work. Moseley could now do it in minutes! X-ray spectroscopy is now used in laboratories all over the world. It is also used to study other worlds, such as Mars. 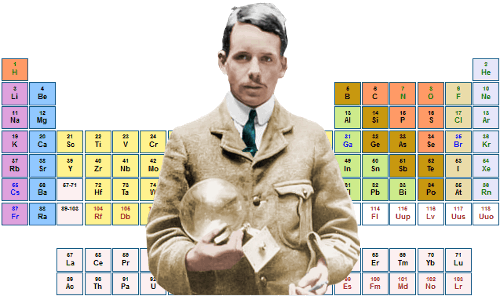 Henry Moseley invented X-Ray spectrum analysis in 1913. In the image above, his method has been used by the Mars Pathfinder lander to discover the elements present in Martian soil. (Fractions relative to silicon.) Image courtesy NASA. In 1914 Rutherford and Bragg recommended to the University of Oxford that Moseley should be appointed to a chair of physics that was becoming vacant there. Moseley, however, had other ideas. When World War 1 began in 1914 he enlisted as a volunteer in the British Army’s Royal Engineers. His family pleaded with him to continue his scientific research, and the army was reluctant to accept him. Moseley had to fight hard to get into the army. Second Lieutenant Henry Moseley was killed in battle at the age of 27 in Gallipoli, Turkey on August 10, 1915. His grave is located on Turkey’s Gallipoli Peninsula. As a result of Moseley’s death, and after much lobbying by Ernest Rutherford, the British Government placed a ban on other scientists of repute serving in front-line roles. In 1916 no Nobel Prizes were awarded in physics or chemistry. There is a strong scientific consensus that Henry Moseley, had he been alive, would have received one of these awards. Images of Moseley and Millikan colorized by this website. “Henry Moseley.” Famous Scientists. famousscientists.org. 29 Dec. 2014. Web.